Our thoughts are with the victims of this awful hate crime. Eleven individuals have died in an anti semitic attack at the Tree of Life Synagogue in Pittsburgh on Saturday morning, 10/27/2018. 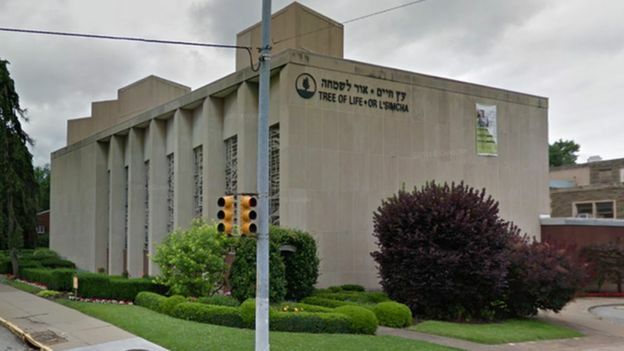 A shooter opened fire with an assault rifle, and had two guns on him upon entering the synagogue on a day that a baby’s bris was meant to take place. A SWAT team entered the synagogue and captured the shooter, but not before massive damage has taken place. The shooter is Robert Bowers, a forty six year old individual who before this posted on the social media site Gab.com, “can’t sit by and watch my people get slaughtered. Screw your optics, I’m going in.”. The account is filled with anti semitic posts from the attacker who made no secret of his motives. Likewise, the attack took place in the Squirrel Hill neighborhood, which boasts the largest Jewish population in the area. According to the anti defamation league, anti semitic attacks have surged 60% in 2017, no doubt influenced in part by the current administration’s anti semitic rhetoric, examples of which can be found here and here. We will keep you updated on the story as it develops. Follow @WhatsTrending for more.